Click on the arrow in the center of the frames to play the clips. Click on the link at the bottom of this page to be taken to videos of people's reminiscences. 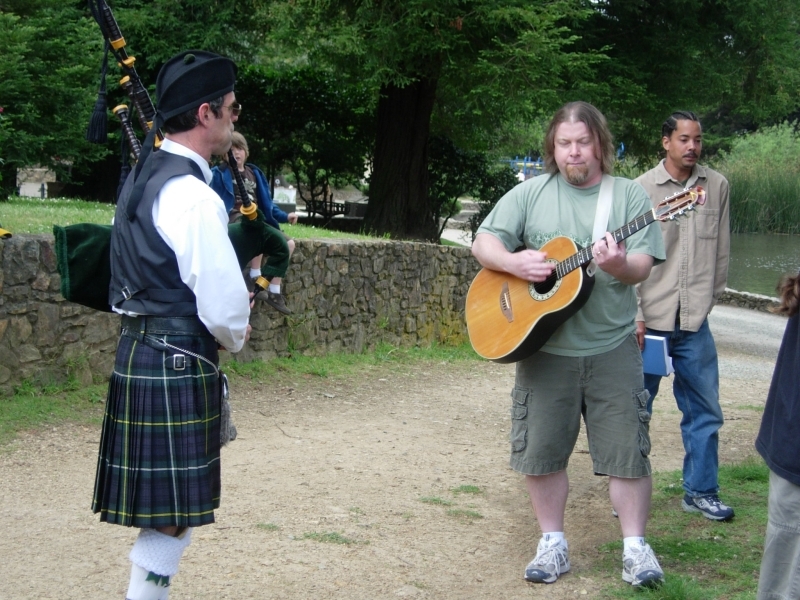 Adam introduces the ceremonies; musical segments by Jeff Campbell (bagpipes) and Jim Adams (guitar). Dave White performs his "In Memory Of..." at the conclusion of the ceremony. Credits and a Reminder: Adam thanks many of those who made the event possible, and reminds us of why Doug's bench exists. Click here for reminiscences of some who attended the ceremony.